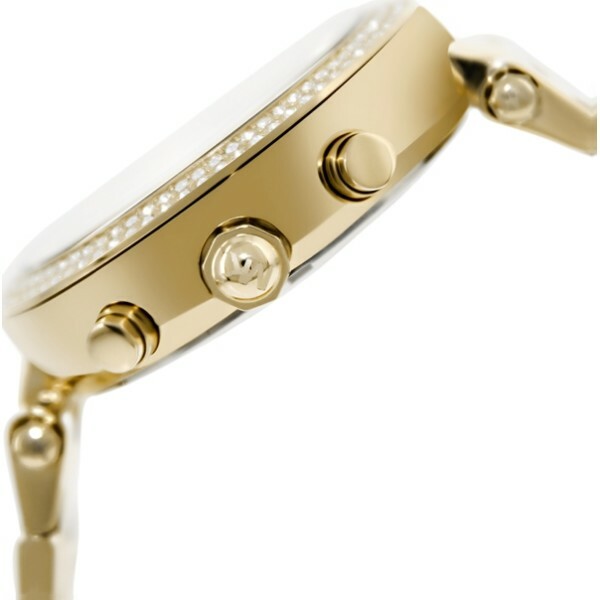 Cryatallized stainless steel case and bezel. 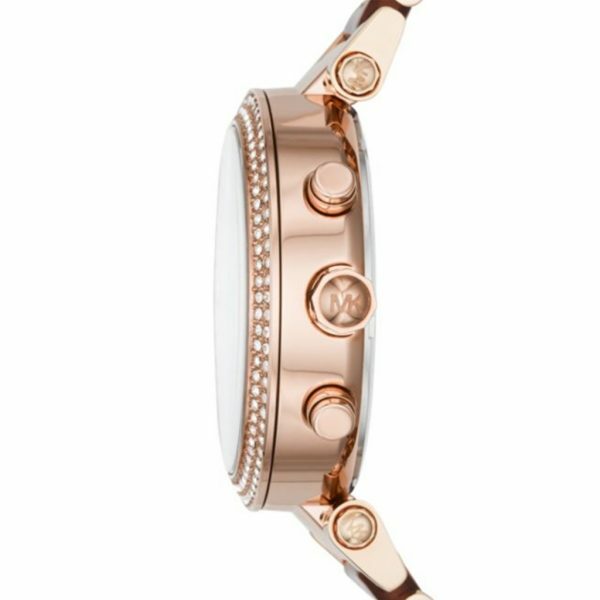 Rose gold stainless steel and Rose Glitter Acetate Bracelet. 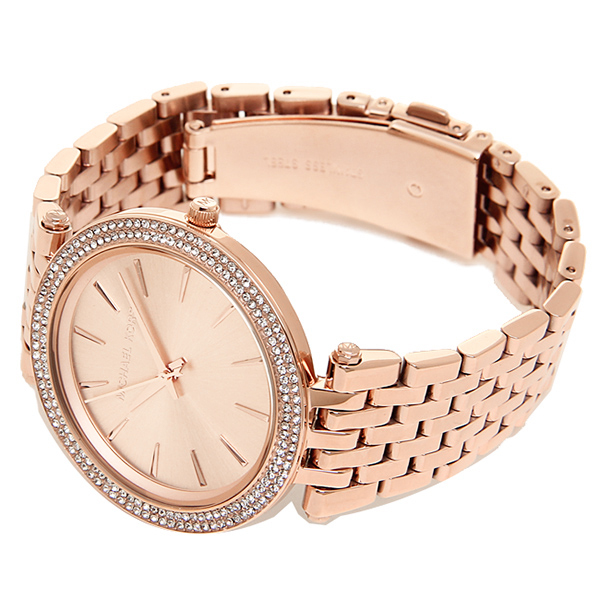 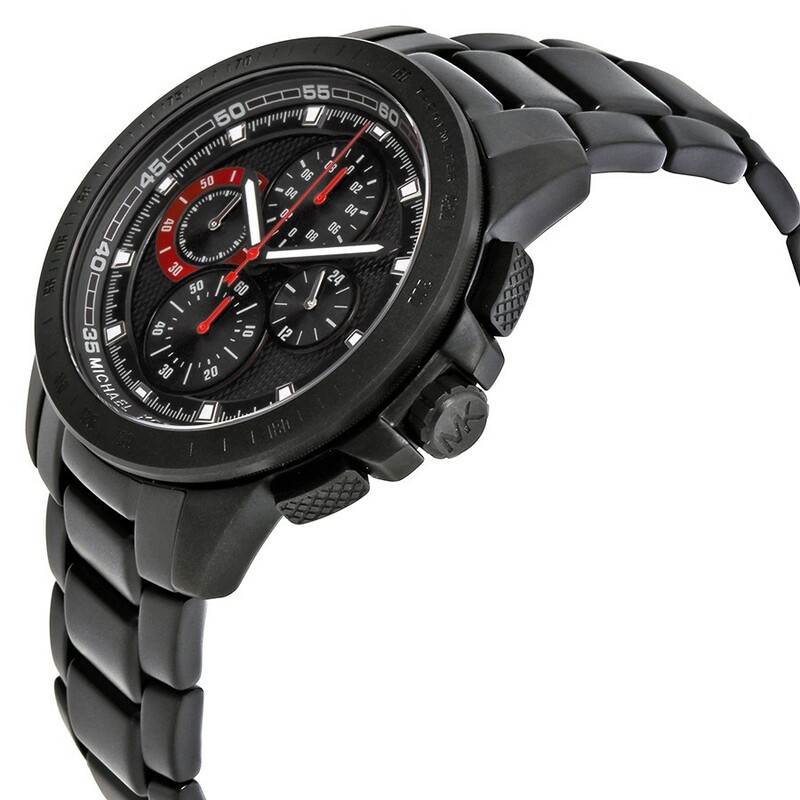 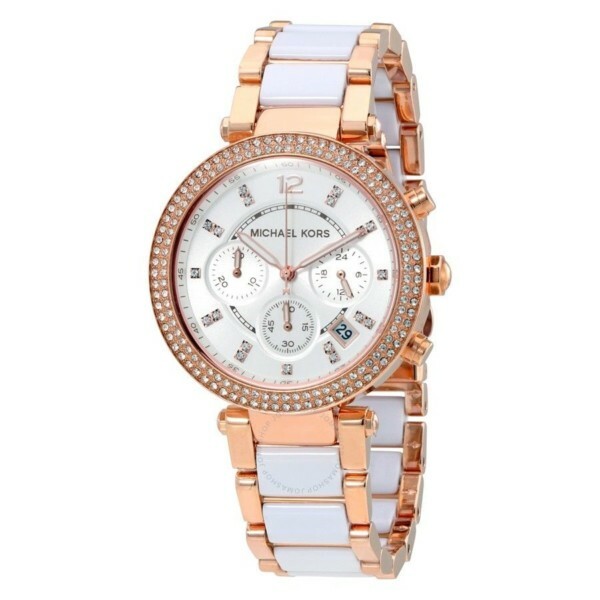 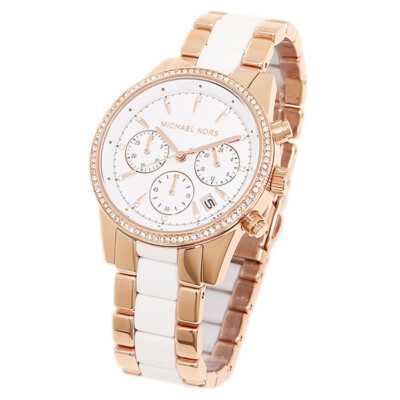 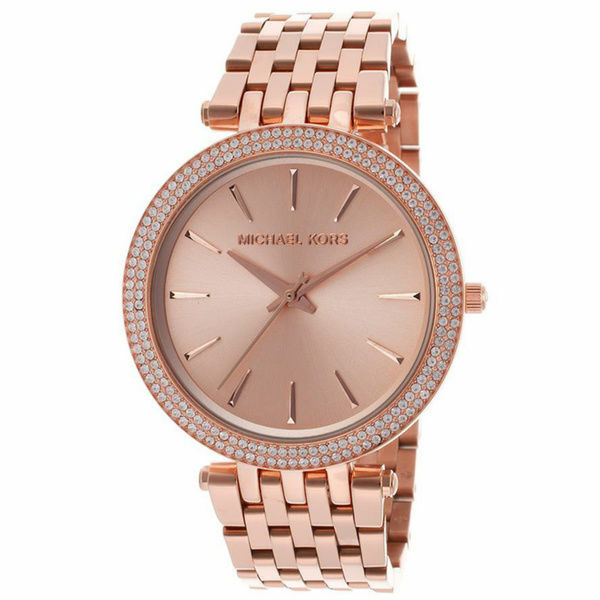 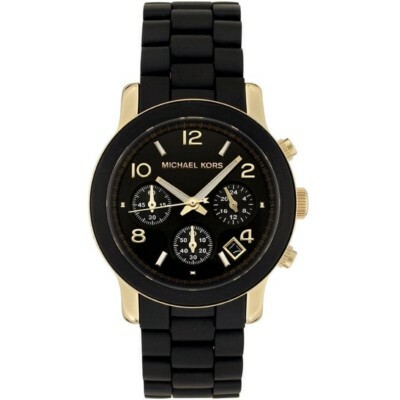 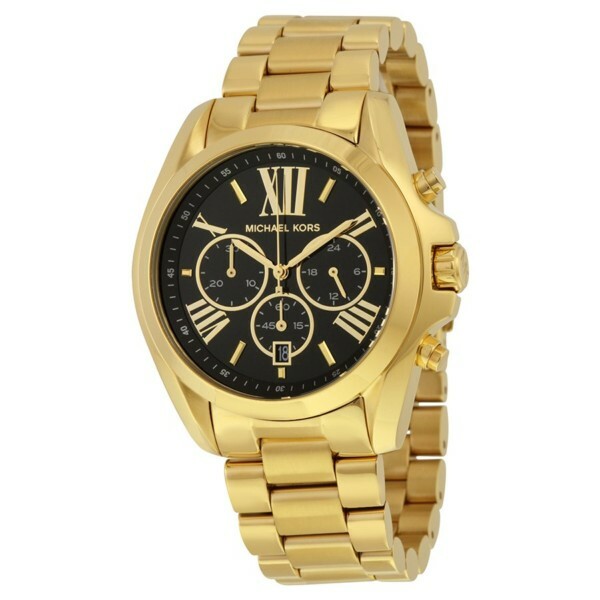 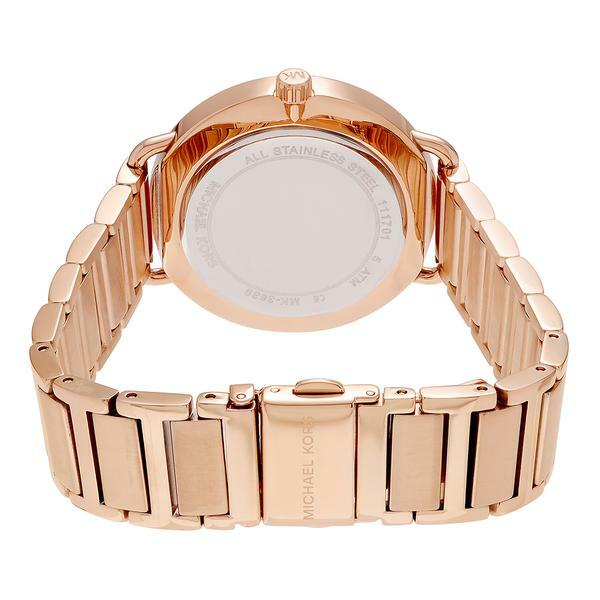 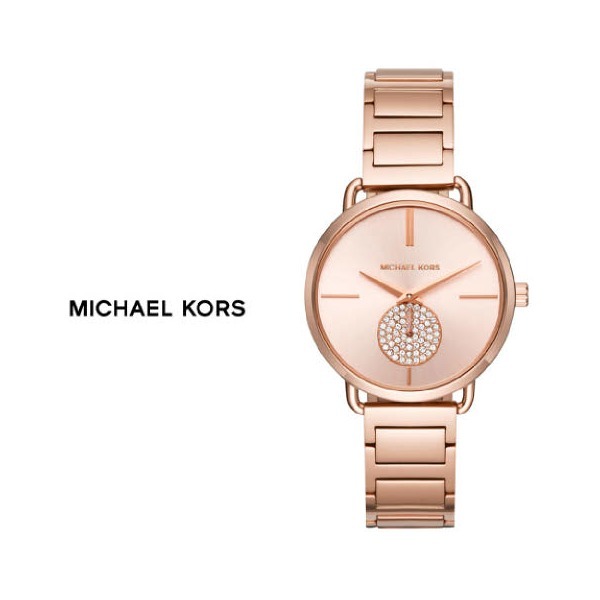 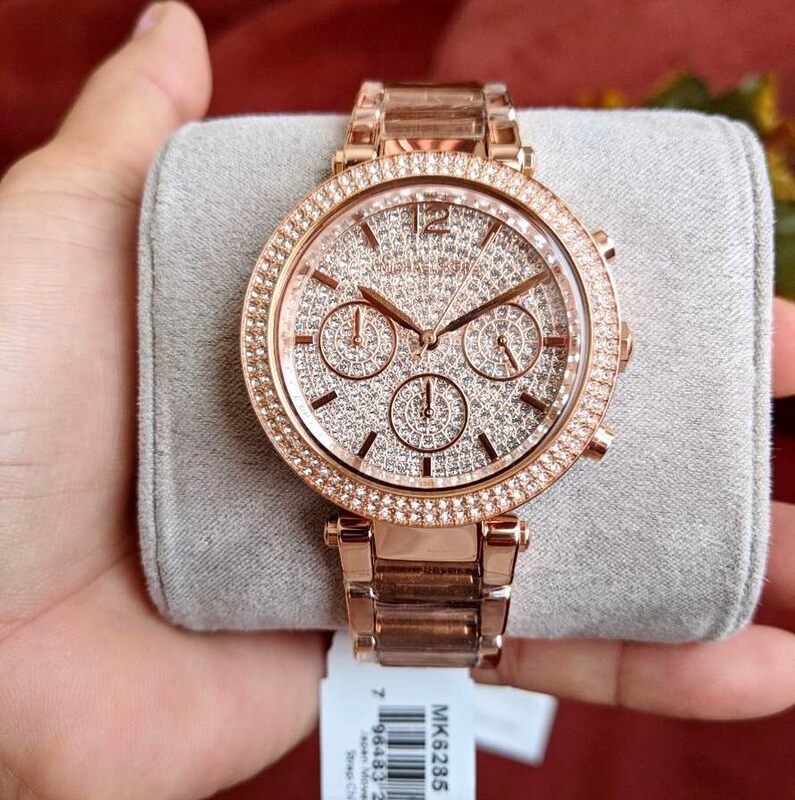 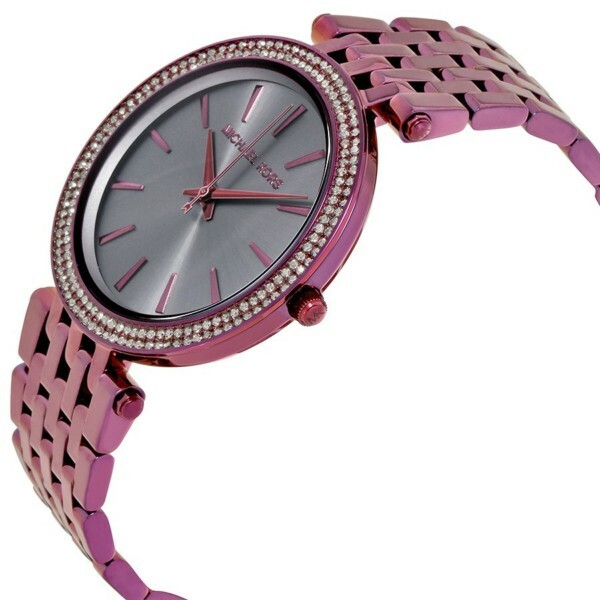 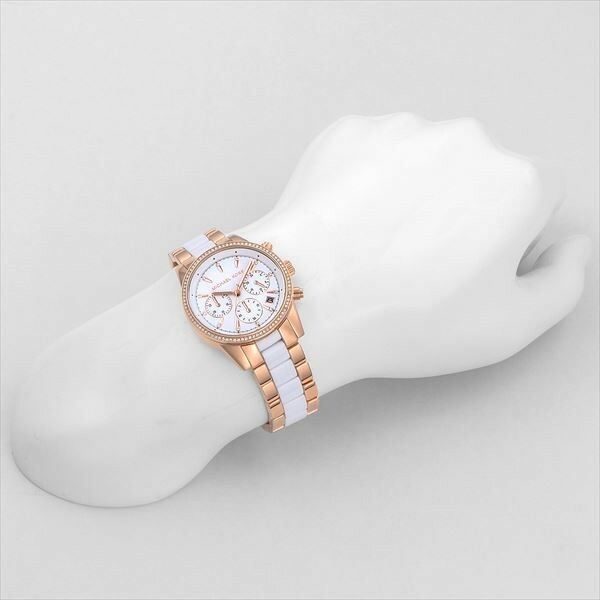 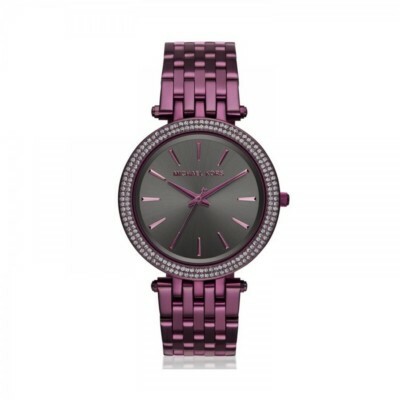 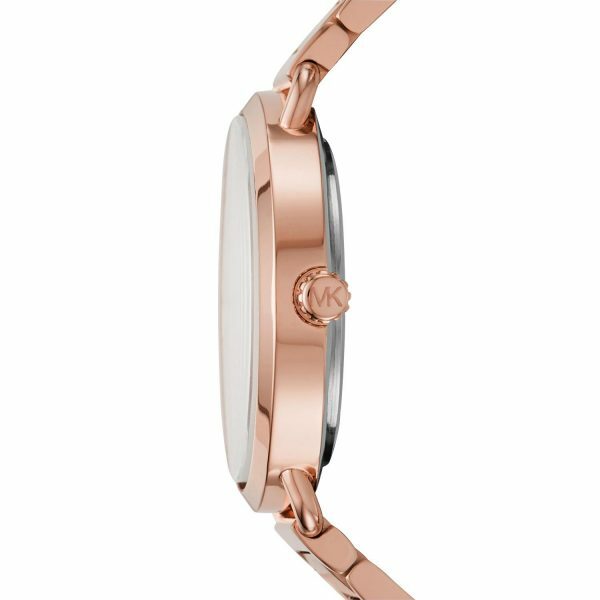 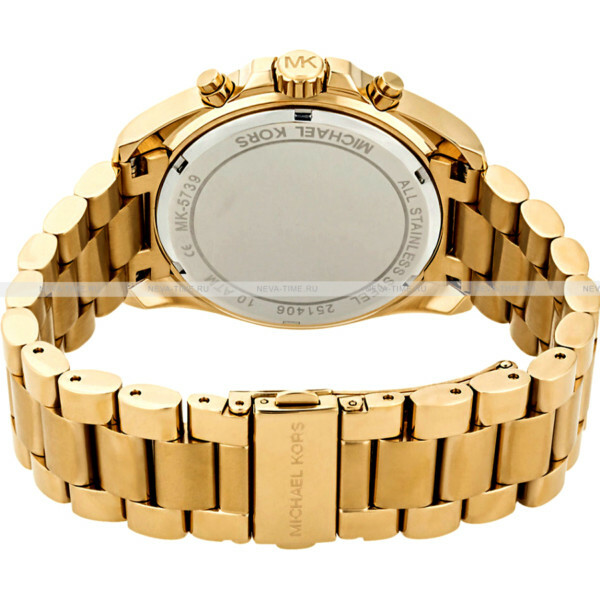 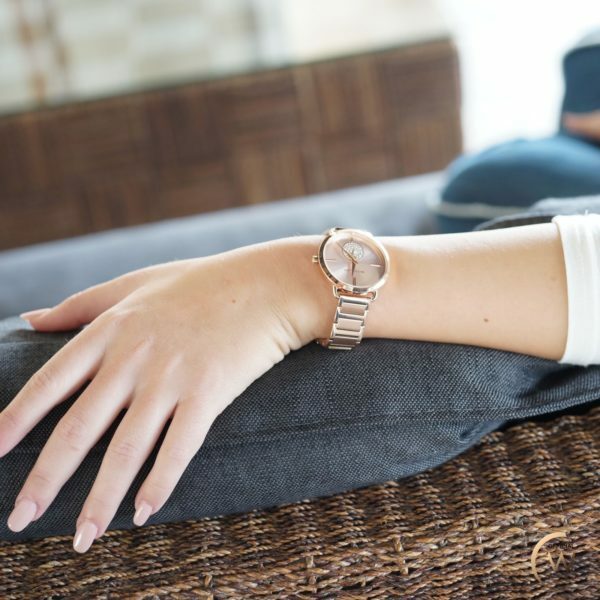 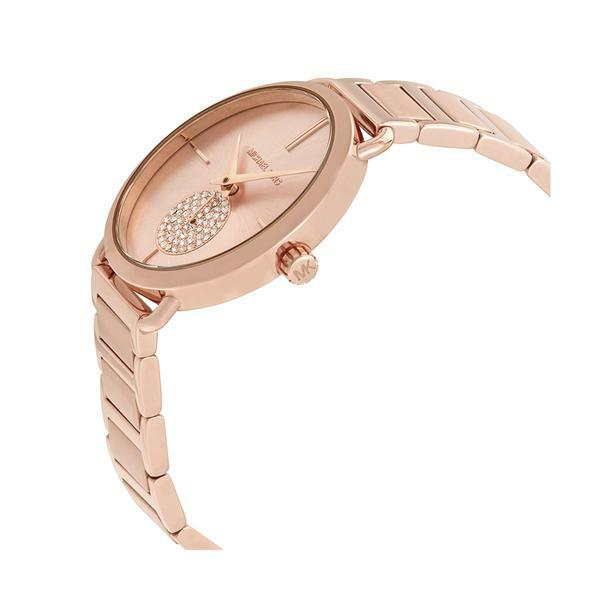 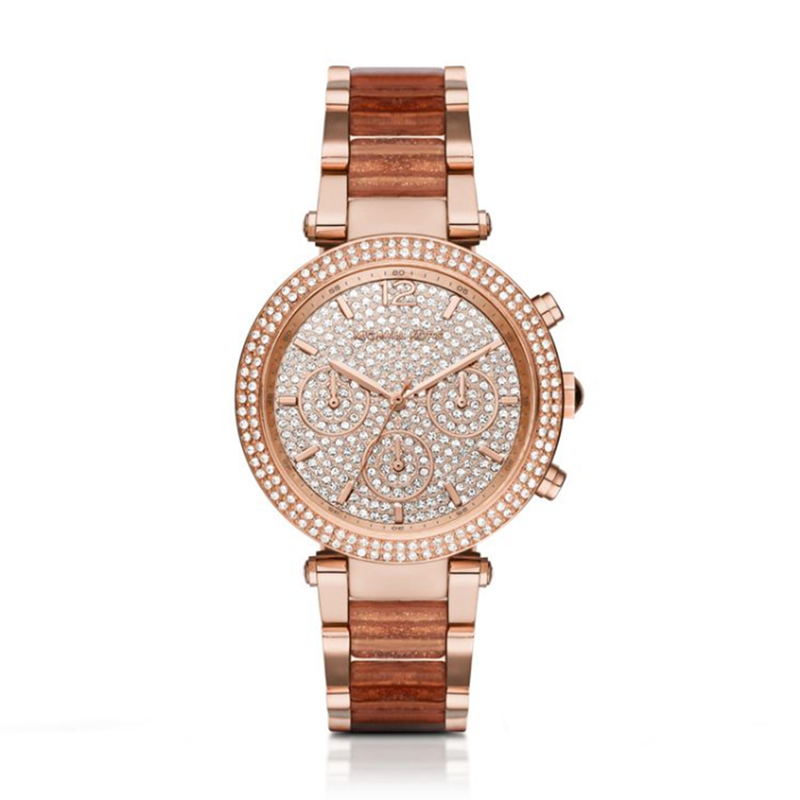 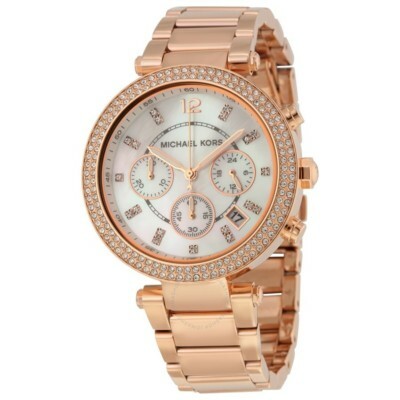 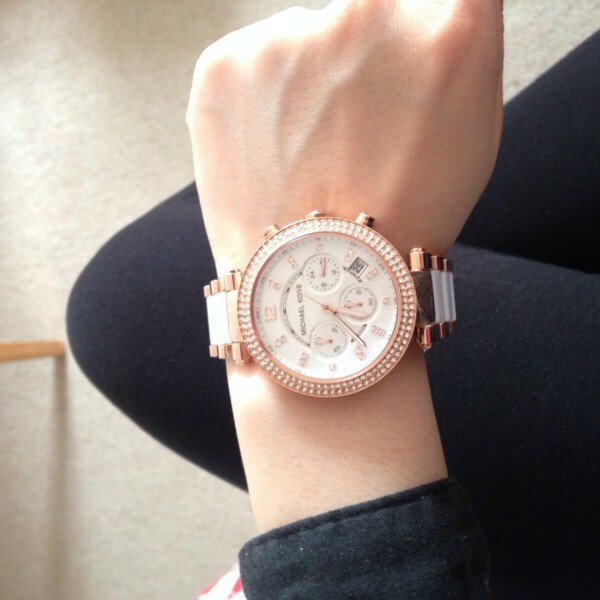 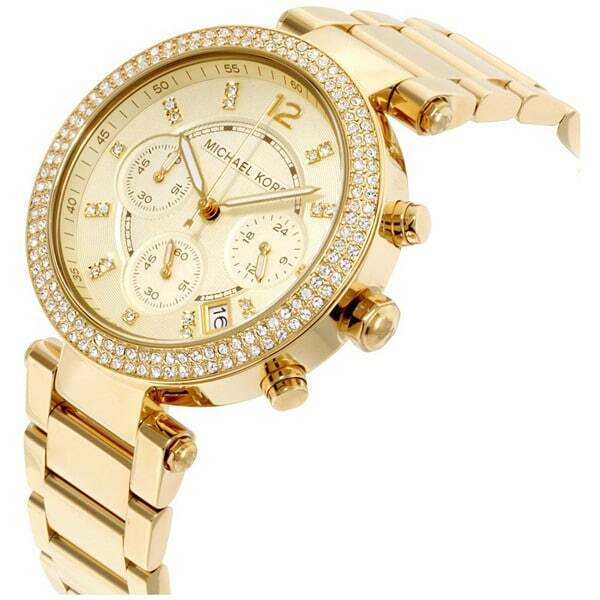 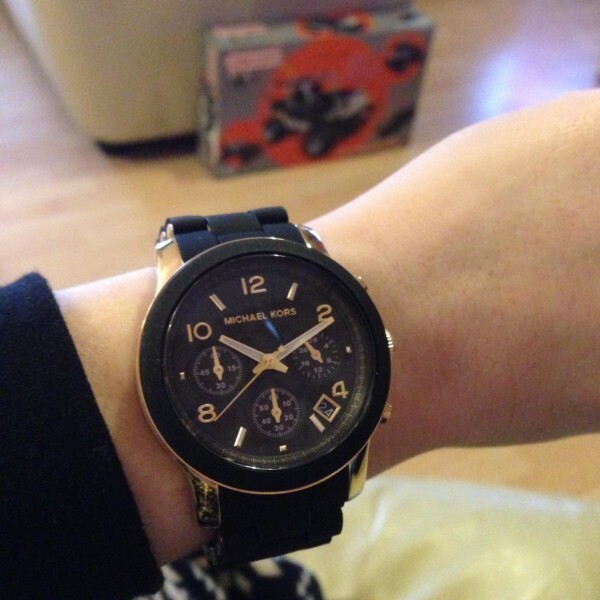 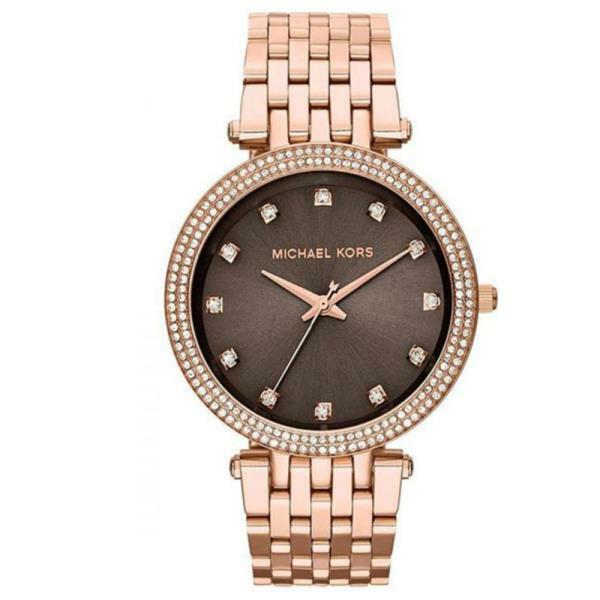 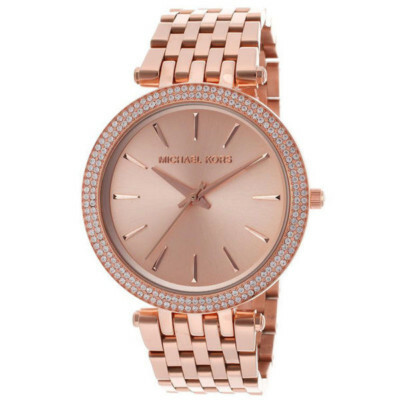 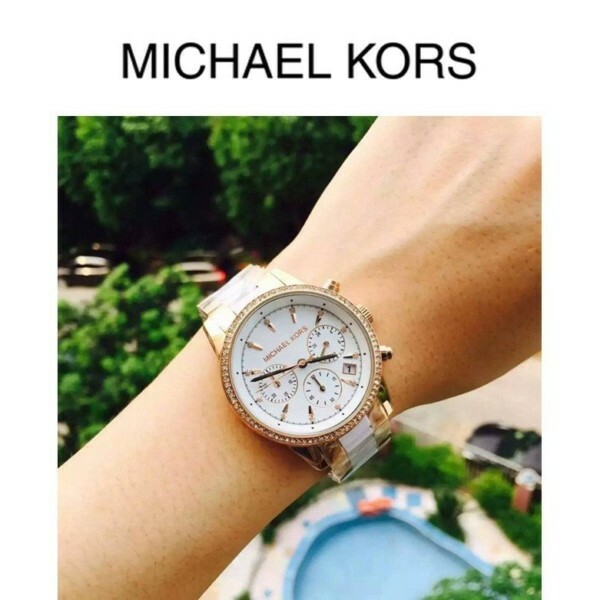 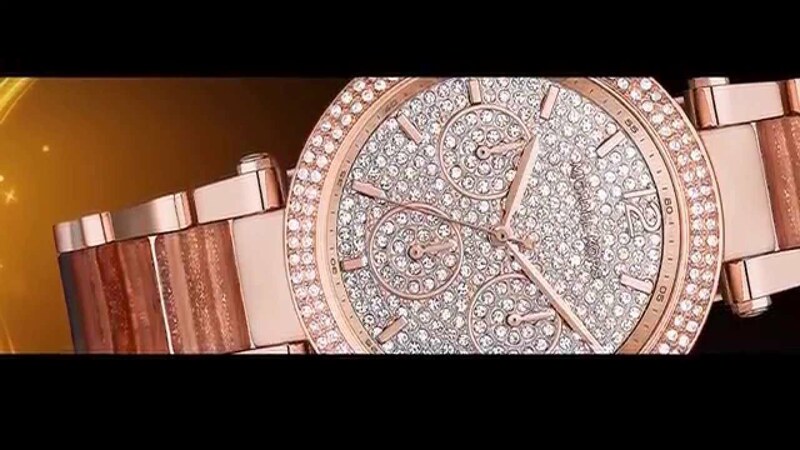 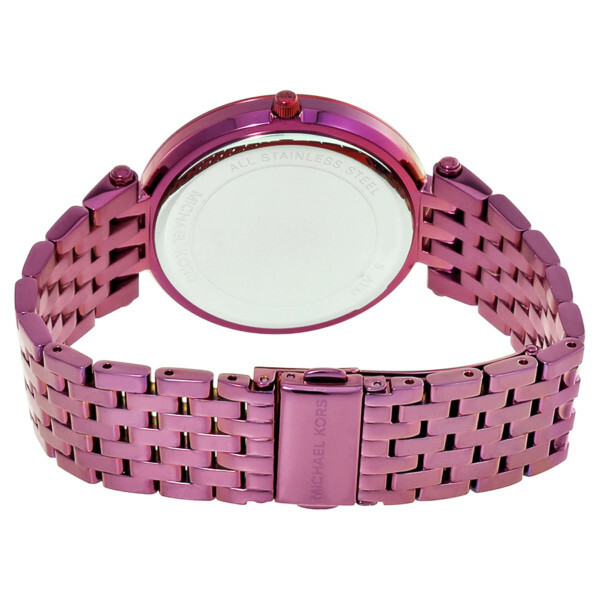 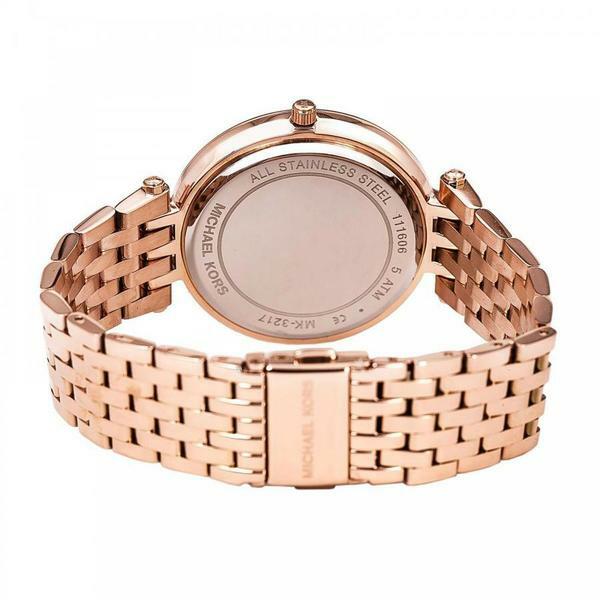 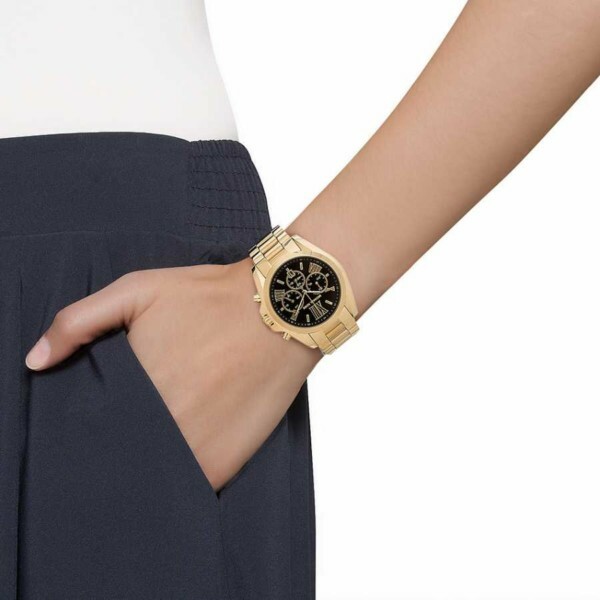 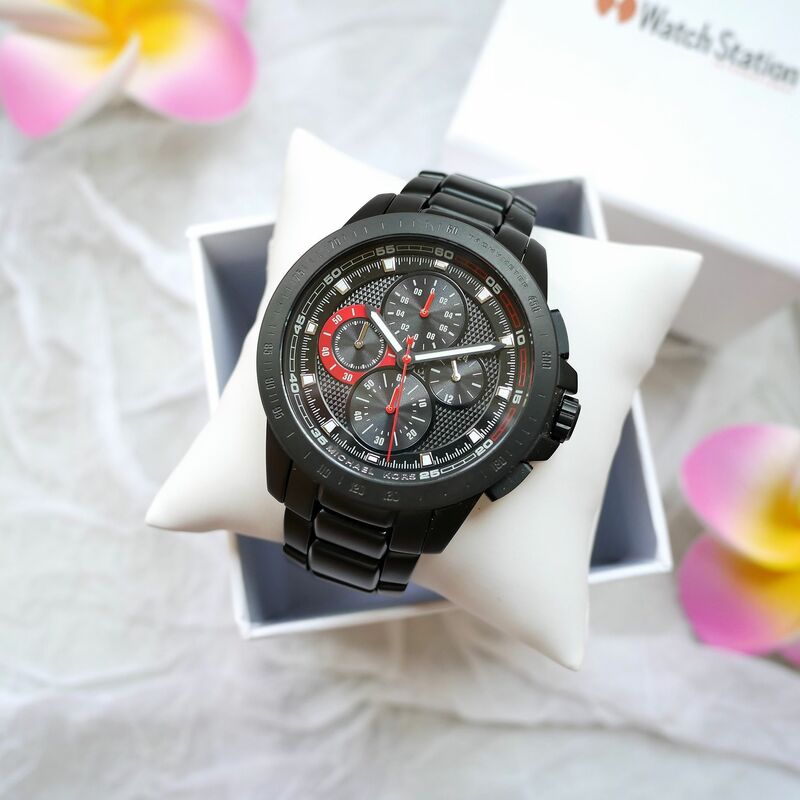 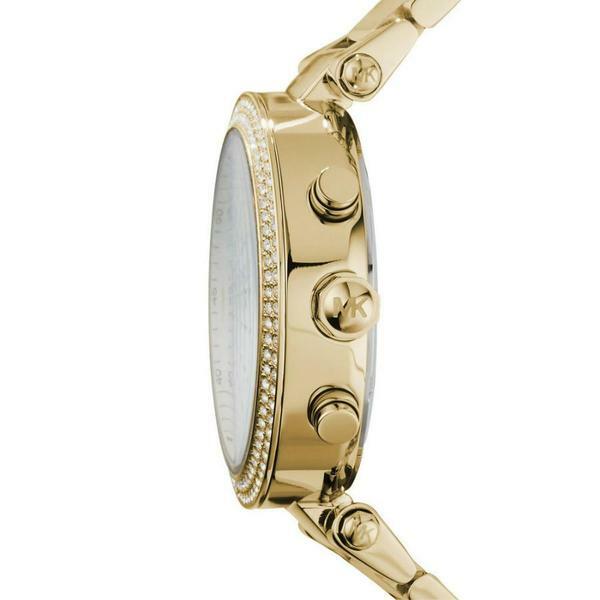 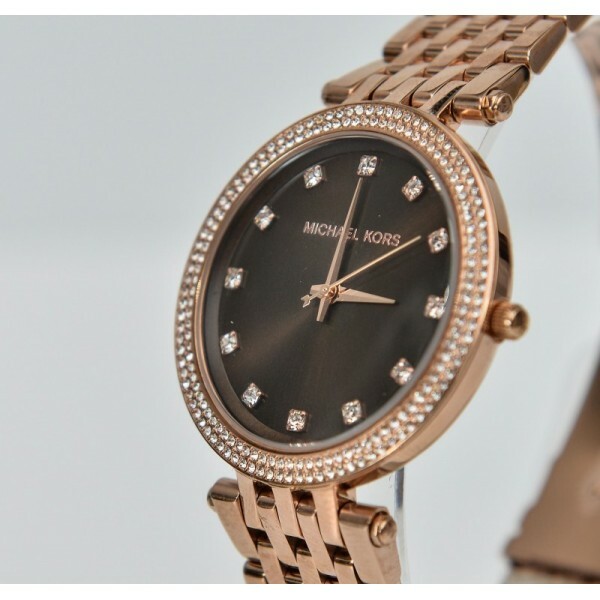 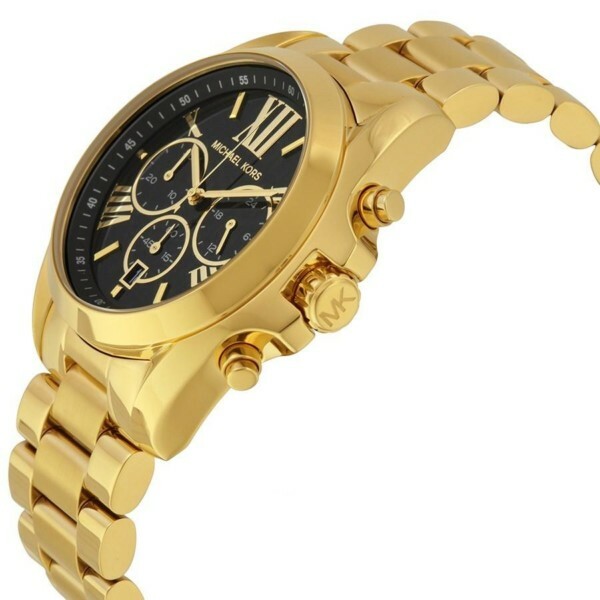 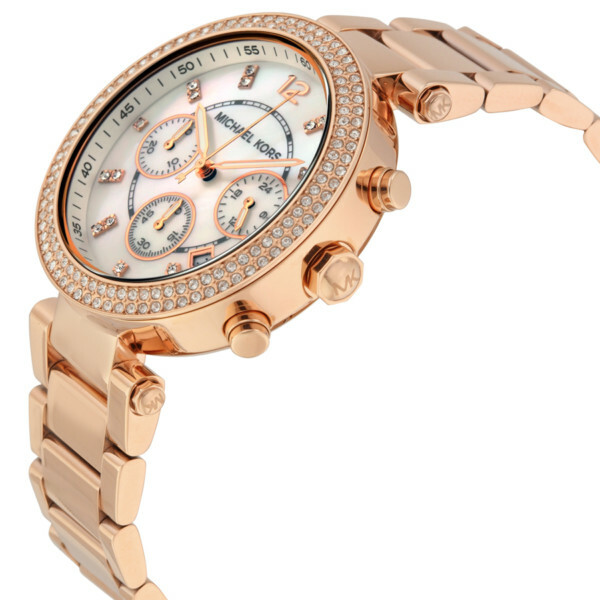 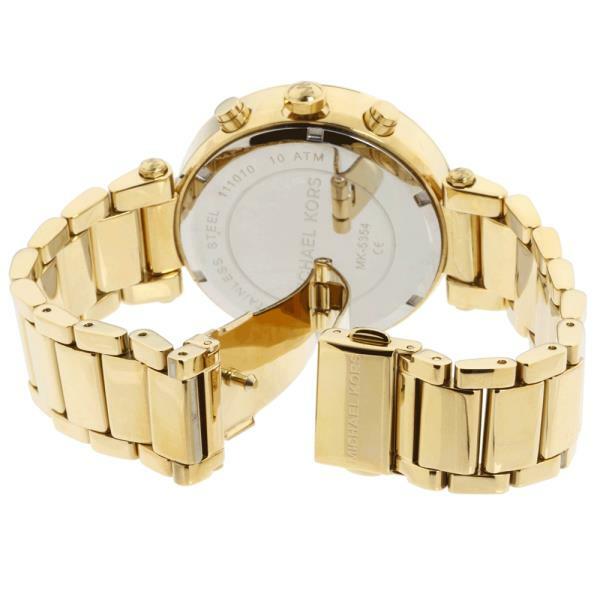 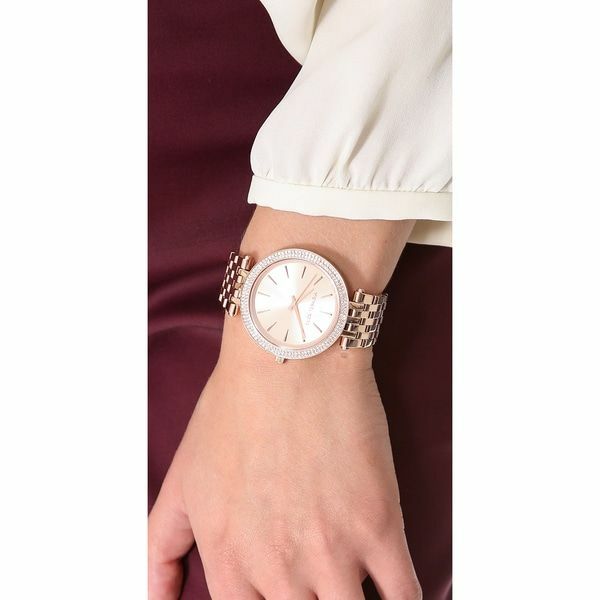 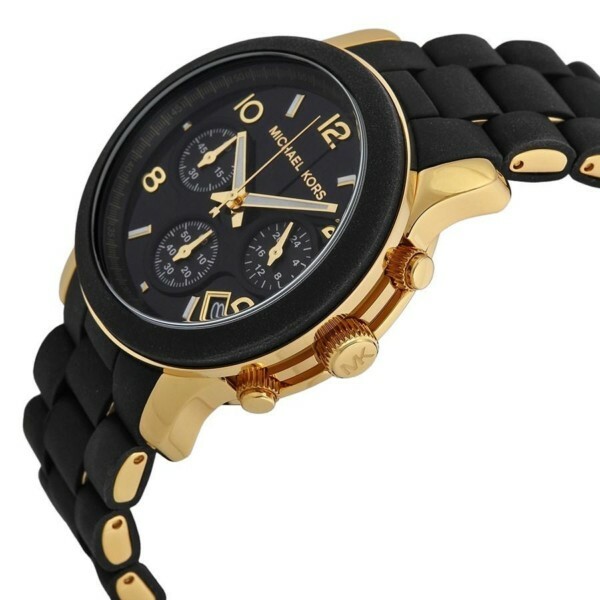 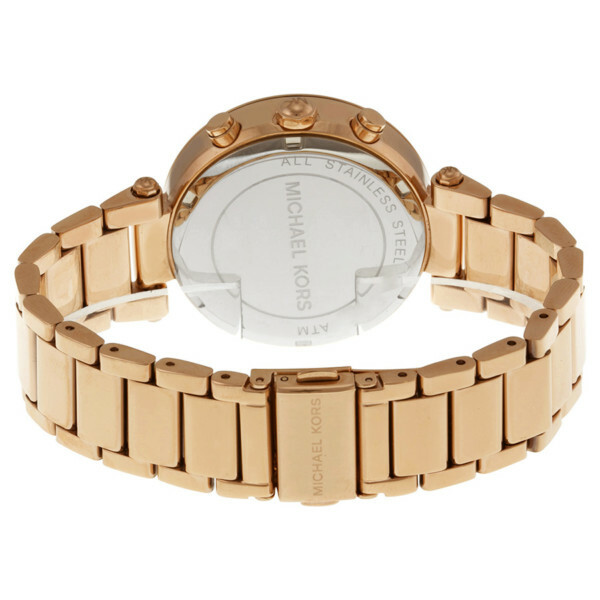 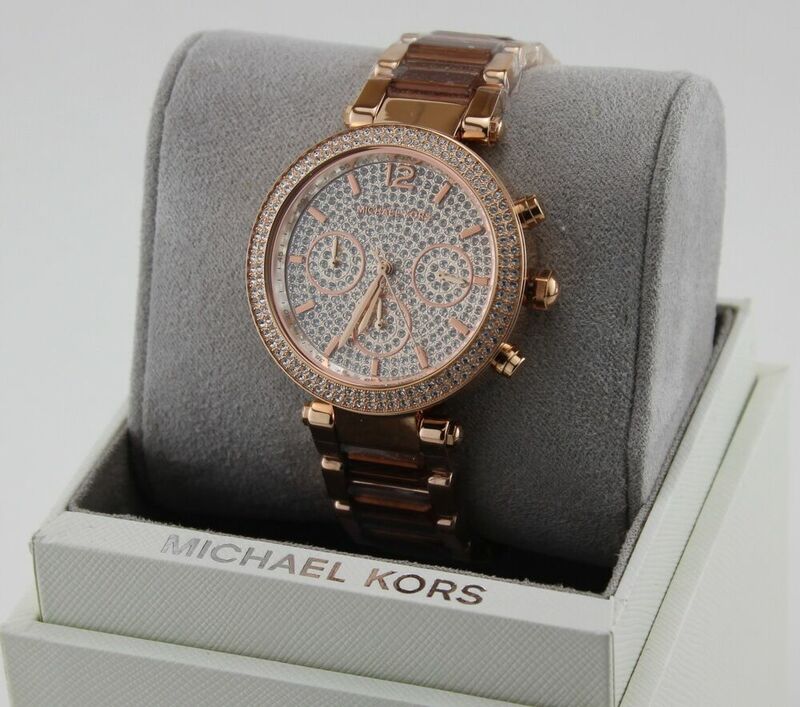 Ladies Michael Kors Darci Watch Collection. 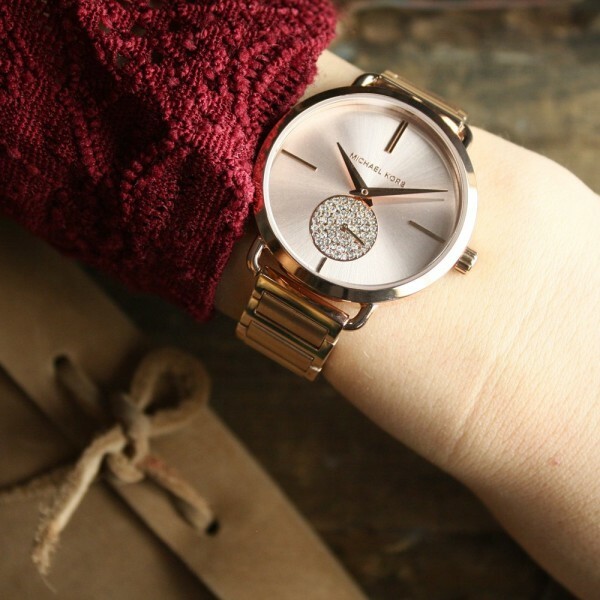 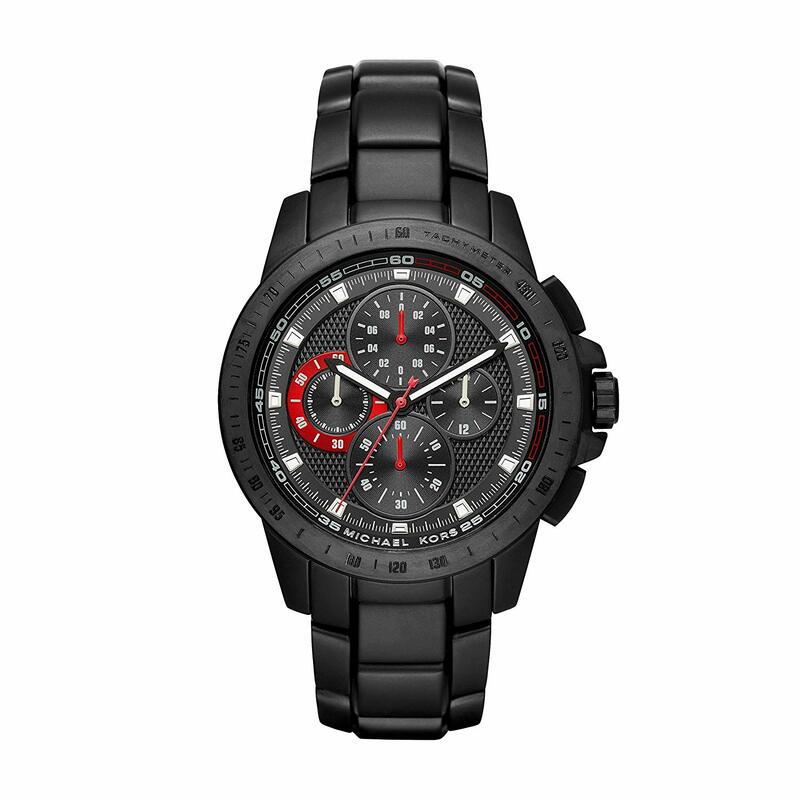 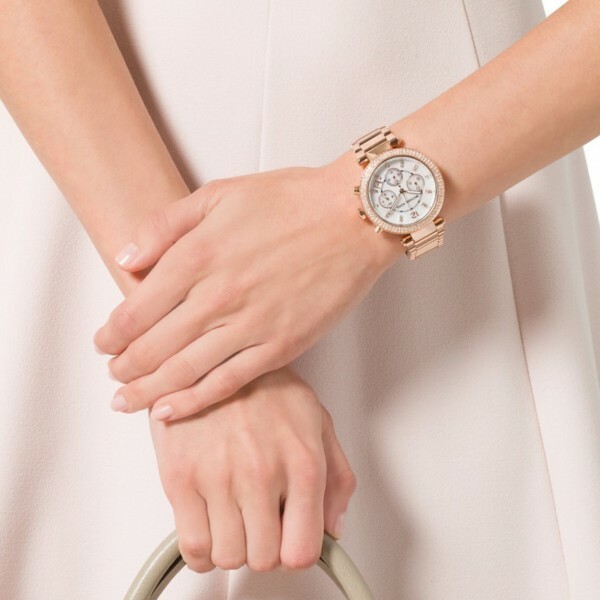 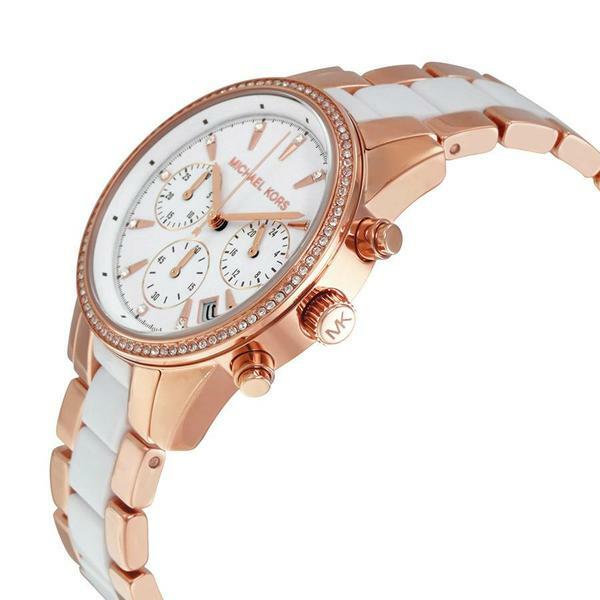 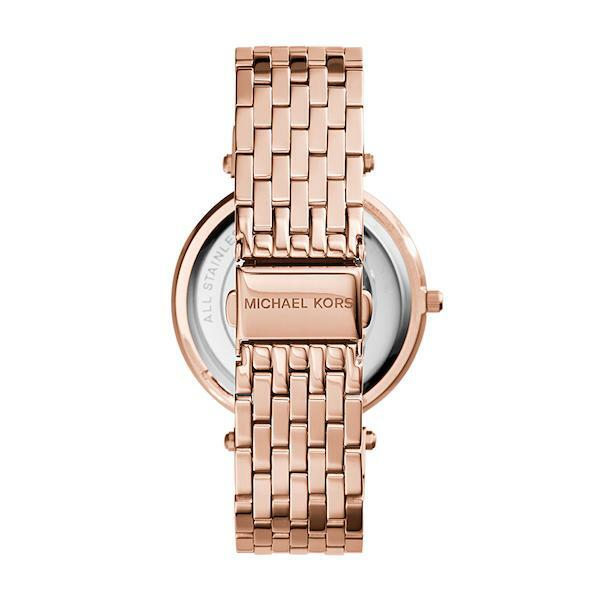 A stunning Parker timepiece for every event in your life, by Michael Kors. 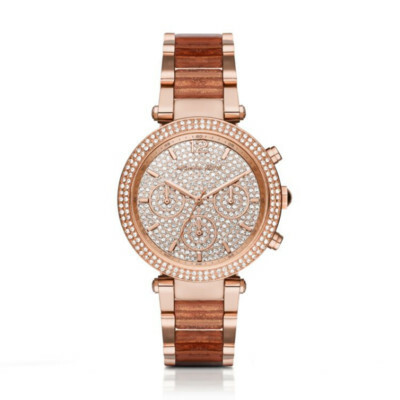 With a mid-size, lightweight case covered in enough sparkle for all lovers of glam, the Parker collection will have you basking in compliments. 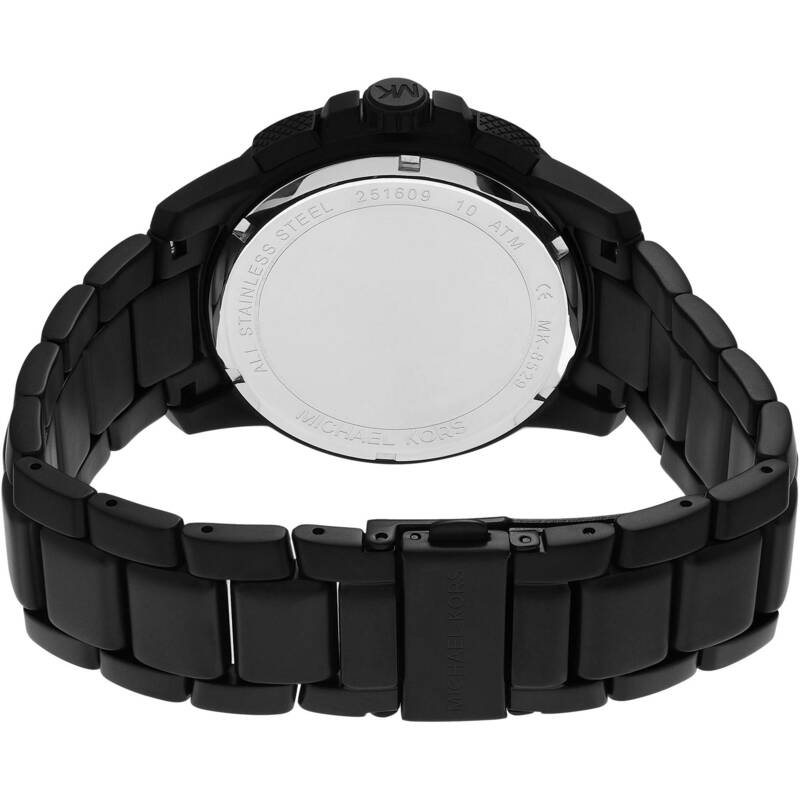 Black stainless steel and rubber bracelet. 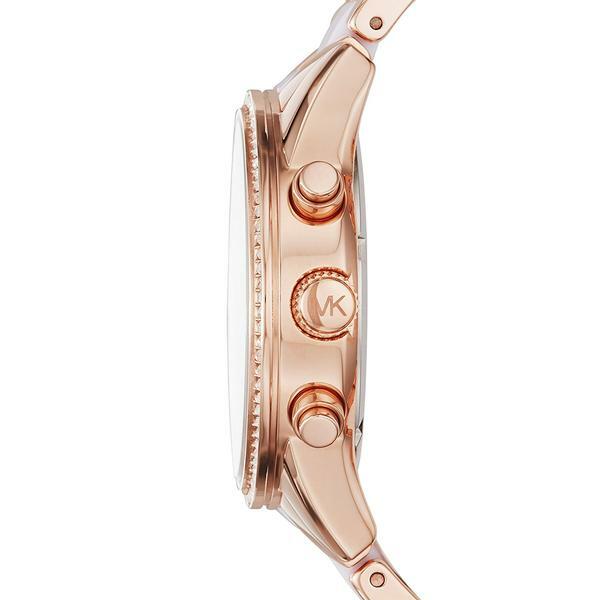 Water resistant: 100 meters / 333 feet.